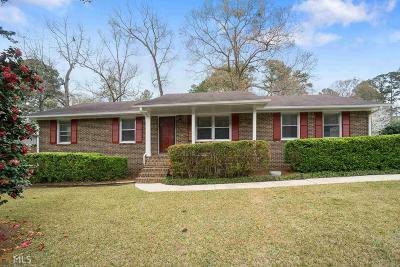 Come check out this recently refreshed, 3 bedroom/2 bath charmer! Located about 3 miles outside of Historic Downtown Griffin, close to restaurants and shopping, this home is in a well-established, quiet neighborhood - just one street down from Maddox Rd. This home features new laminate flooring, new tile in both bathrooms, fresh paint throughout, a beautiful fenced in backyard, and a brand new Samsung stainless steel appliance package including a refrigerator and microwave. In addition to the 1,447 square feet of living space, the original carport was closed in, to add 380 square feet of heated/cooled, livable bonus space.